At CYCG, our objective is to become your trusted partner, based on the value we bring and the respect we earn. We measure our success by the benefits we provide our clients and without exception our clients benefit from our expertise. Each CYCG consultant is a talented specialist with a generalist's perspective. Understanding the big picture gives us the perspective to know not only which details matter, but also how to transform those details into the information you need to take advantage of market opportunities. CYCG is unique. Our combination of extensive experience, our diverse client base, our track record in delivering and supporting solutions, our relationships with other industry-recognized experts, and our reputation among market participants all serve to guarantee unparalleled quality and satisfaction. We deliver on our promises. The simple fact is that having the right partner matters. At CYCG, we understand the market, we spend the time and effort to understand your needs, we understand technology, and we understand how to deliver the best solution. We know stuff. We know people. We get things done. CYCG's wide client diversity helps ensure the depth and breadth of our products and services. Our track record speaks for itself, as verified through client references. Contact us for names, email addresses, and phone numbers. Operations personnel throughout all levels of a ISO operations typically struggle to pull together a complete, timely picture of a situation. Like missing pieces of a puzzle, critical information is often scattered throughout a variety of locations, applications and operational systems in a wide range of formats with a confusing mix of unrelated contexts. If this information does come together in a meaningful way, it is often in a periodic report that is produced long after the opportunity to react to the information has passed. 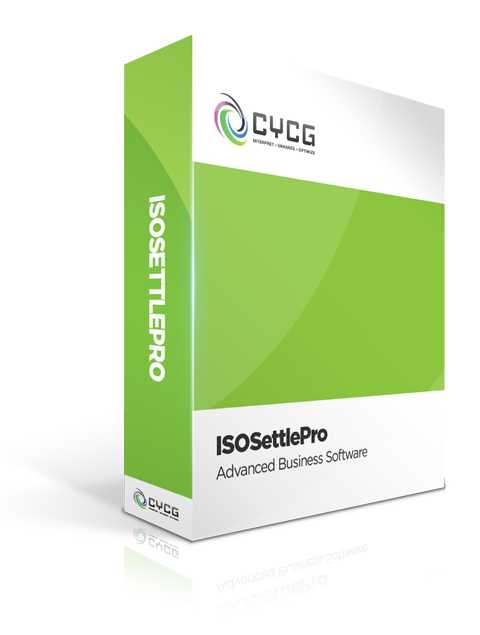 ISOSettlePro extracts data from a variety of ISO information sources and presents it in a way to maximize your business process results in near real time. Through ISOSettlePro, ISO Operations Intelligence solutions can be built that deliver actionable views. ISOSettlePro solutions put these views directly into your hands, engaging operations in decisions that directly impact the business. Although the specific applications areas and benefits realized from such solutions vary from customer to customer, large ROIs have been shown at end users implementing ISOSettlePro. CYCG has encyclopedic knowledge of wholesale energy markets. CYCG solutions create visibility into wholesale energy positions, purchases, and sales. CYCG consulting services assist clients with everything from short-term operational issues through long-term business strategy optimization. Whether the support is limited to helping to analyze specific settlement transactions or whether it involves a role in assisting with ongoing business process improvement efforts, CYCG consultants invariably become trusted client advisors. Catch up with what we've been up to. Developed real-time visual analytics for operators, allowing a predictive view on dispatches. CYCG now provides ISOSettlePro Service to over 40 Scheduling Coordinators. CYCG celebrates its 16th year in business. Completed full hardware renovation in-house.